Do you believe that years of experience has strong relation with the quality of a product? Then, you can surely go with Lew's baitcasting reels because they are creating fishing related products since 1949. They are also very popular for the production of low-profile baitcasting reels. In fact, Lews is one of the pioneers in creating these types of reels since the 1970s. But, a few years later, the company, stepped back from this industry. The Speed Spool SSG of Lews is a great baitcasting reel that comes with top performance and great value. They are very smooth and attractive. At the same time, they are extremely affordable. A smaller palpable reel is the other stunning feature of this reel. This feature is greatly welcomed by lots of anglers. Anglers feel very less fatigue because of this feature. Thus, they can go for fishing all day long and several days in a week. The weight of this reel is the other major feature that is worth mentioning. It weighs just 7 ounces. 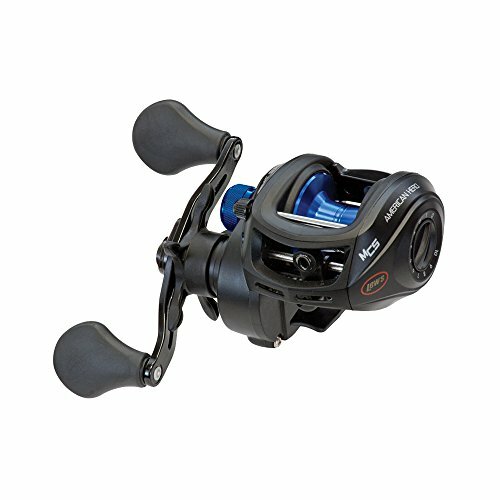 Compared to most other fishing reels on the market, the weight of this reel is very less. In short, with the introduction of Speed Spool SSG, Lews has made a great comeback. The excellent price-quality ratio shows the quality of this product. Thus, it is a great option for fulfilling your requirements of baitcasting reel. The Speed Spool reel of Lews is designed mostly for using on fresh water. But because of its amazing corrosion resistance properties, this reel is also suitable for saltwater. However, you should clean it with fresh water after every use. The drag power of this reel is wonderful. Thus, this reel is perfect for4 catching any fish species at the water. The fishing technique baitcasting involves throwing a bail with a fishing line by using a flexible fishing rod. Anglers use lots of different techniques as an attempt to cast further. Shifting body weight towards front foot is the most common technique used by most anglers. It is done in correlation to the forward movement of the rod. Usually, heavier lines and rods are required for saltwater fishing. The visual appearance of this reel is extremely attractive. A silver color pattern on the black is really beautiful. Together, it has a beautiful finish. The major highlight of this reel is its frame design. The die-cast aluminum frame together with graphite side plates is really amazing. The side plates can be removed very easily. The weight of this reel is amazingly low as compared to most other baitcasting reels on the market. The drag system of this reel is strong enough to hook on any type of fish. It also provides you greater control when the fight is necessary. 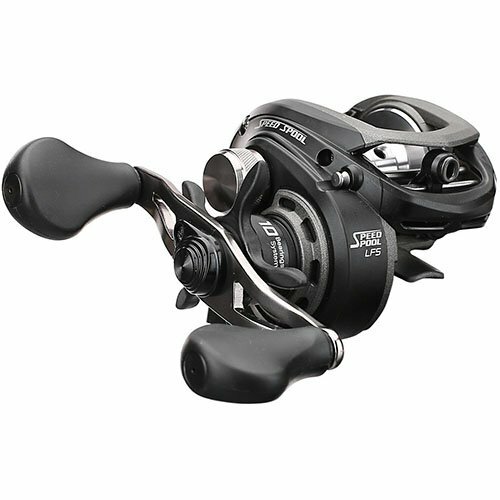 The maximum drag pressure offered by this reel is 10lbs, which is enough for withstanding any pressure. The casting control on this fishing reel is really magnificent because of its convenient magnetic brake system. It is easy to use and extremely adjustable. There are 5 magnets in this magnetic brake system. The bearing system of this reel is the other noteworthy feature. It offers 9 bearings system. The closures of this reel are metal shielded together with double sided shields. It is highly important because it reduces the chance of salt or sand affecting the rotation of the bearing. 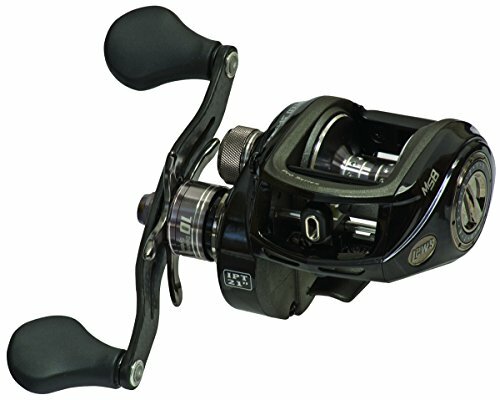 Anglers always prefer purchasing a better performing reel at an affordable price. Here, Lews concentrated on providing a better performing reel at an affordable price. The company also uses the latest technology for the creation of Speed Spool reel. It can deliver up to 10 lbs of maximum drag pressure. The die-cast aluminum frame is original and highly innovative. It also comes with an easily removable palm-side plate. High-quality materials and careful design are the other peculiarities of this reel. Operating a baitcasting reel is not so easy. Almost all anglers will face certain amounts of difficulties while handling these types of reels. 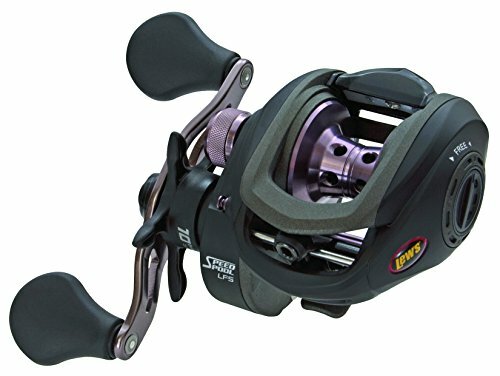 However, if you purchase the Speed Spool reel of Lews, you can learn the techniques very easily and effortlessly. 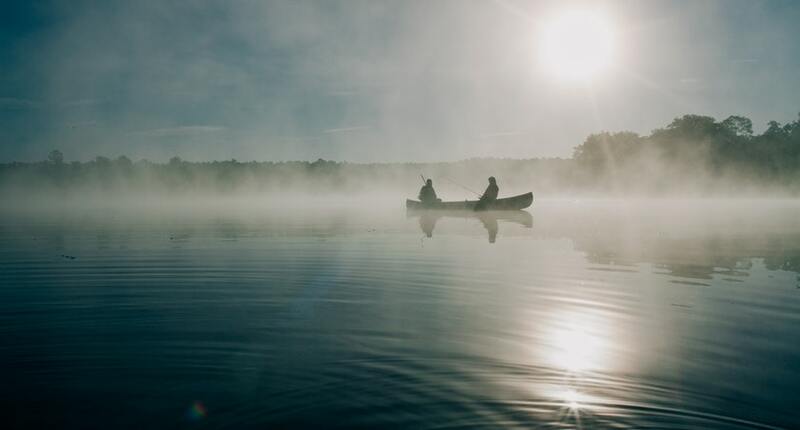 You may be a beginner or a professional angler. But, you will not face any difficulties while handling this reel because it offers the right amount of accessibility and performance. Thus, it is helpful for accommodating various levels of styles and learning curves.